The No. 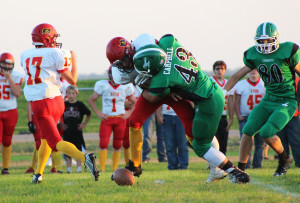 5 ranked Colome Cowboys rolled to a 52-0 homecoming victory over Avon Friday night. Kelly O’Bryan scored three touchdowns and ended the night with nine carries for 148 yards. He had two receptions for 42 yards. Colome, 3-1, travels to Lake Andes on Friday.